Since the posting of this video Joey Ingram announced he will be delaying his own awards show in respect to Eric Danis and all the hard work he has put in hosting and producing the Global Poker Awards. Of course, we will keep you updated as to when/where that will take place. The Global Poker Awards are Friday, April 5th in Las Vegas. They will be streamed FREE and LIVE on Poker Central. Heavy-weight poker players like Justin Bonomo, WSOP Main Event Winner John Cynn, Maria Ho, Poker Masters 2018 Winner Ali Imsirovic, vlogger Andrew Neeme, Poker Central broadcaster Nick Schulman, Maria Konnikova, and others were nominated. Who was left off the prestigious list of nominees? Which poker events were not acknowledged, but should have been? 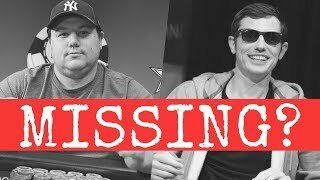 Which poker vloggers were overlooked?Boski? Trooper? JohnnieVibes? Watch to find out! Poker Player Maria Ho Banned from Playing at the PokerStars Caribbean Adventure? Articolo successivo SCOOP Day12-13: “FORSECELAFAI” non si smentisce, batte tutti e vince €19.099 nell’evento #91! Articolo precedente SCOOP 2019: “Fabio1Buono” centra tre final table nei Day10 e 11 e punta alla leaderboard!